Almost every user of mobile devices Samsung, Lenovo, Galaxy and the like faced some problems after downloading a new application or game. The picture hangs, the video slows down or the touch functionality slowly reacts when working with an editor. 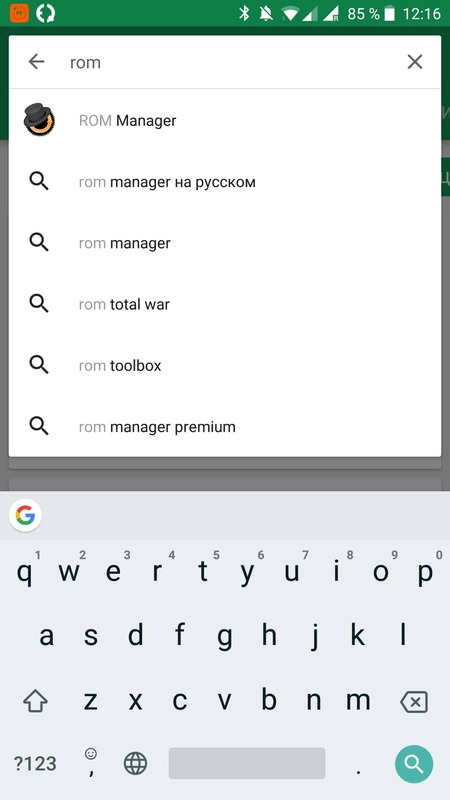 The root cause, most likely, is the emergence of a new version of the operating system, and there is nothing easier than to upgrade android for troubleshooting. The emergence of fresh mobile applications, games, editors and other software products. It follows that a fresh operating system is useful not only for installing new programs and games. After updating Android, the performance and performance of the tablet or smartphone itself can improve. At least, it was noticed even in slightly outdated models “samsung”, “galaxy”, “lenovo”, “xperia” and so on. However, the speed and quality of the Internet may increase. For example, this was clearly noticeable in the transition from conventional to 3G and 4G signaling technologies. Update the OS on the phone. We are waiting for the download of the Android update, reinstalling the system and rebooting the device. 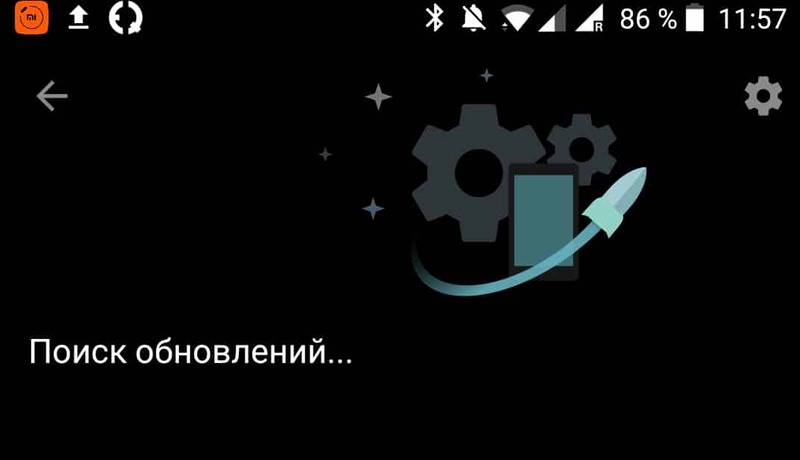 Now your phone is on new firmware. Note that, depending on the firmware of a particular smartphone model, the names of functions and options may differ somewhat, including being in a foreign language. However, the procedure in all cases is the same and visually clear from the pop-up menus. However, in some models, authorization (account creation) may be provided. Then you first need to register and create an account, and then follow the above step by step instructions. Update the OS on the tablet. Unlike software for smartphones, the firmware of a tablet computer provides for automatic updating of the operating system. A notification about this from time to time pops up on the display, and the user is left to accept it by pressing "OK", or refuse - "NO". However, there are situations when you need to refresh the OS yourself. For example, if it is very rare to access the Internet or there is a rejection of automatic updates in the settings. In such cases, you can update the system in the same way as updating the android version manually on your smartphone, according to the step-by-step instructions above. The only thing recommended to connect the charger to the tablet. As practice shows, a full battery charge is not always enough for downloading, updating and rebooting the system. Updating the OS using a computer. waiting for the transfer of files from a computer to a mobile device, updating and restarting the system. Comment. 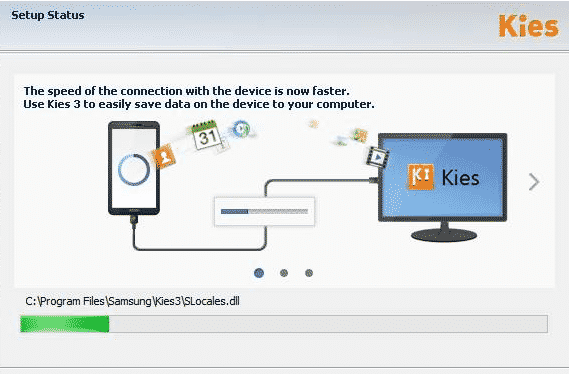 Such manufacturers of mobile devices as "LG" or "Samsung" offer their own software products for installing and updating Android OS via PC. Keep this in mind as you follow the 1-3 steps in the instructions above. It is noticed that some Chinese analogues of smartphones or tablets of little-known manufacturers do not have an automatic update of the OS. However, you can not get the latest version of any of the above methods. 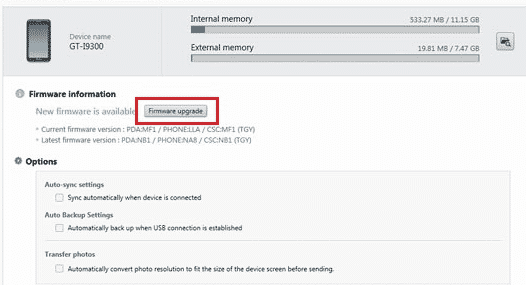 We offer how to update android on your mobile device forcibly using a flash drive. Click on the option "Restart and install". Note. 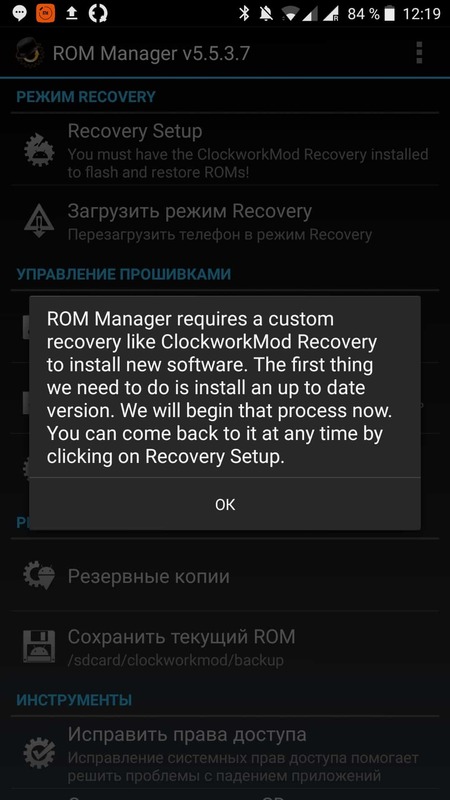 To work with the “ROM Manager” application, you may need a custom loader, about which the system will issue a notification. In this case, you need to find it, install it and follow the instructions given on the developer’s website. there we tick off the option "USB debugging"
Finally, set the “fastboot reboot” command and wait for the reboot. Roll back the Android system to the earlier version. There are situations when the update is not quite satisfied with the user. In such cases, you can roll back (return) the OS to an earlier version that was installed before the update. To do this, you can use two methods. The first method - can be made directly on the device itself. To do this, go to "Settings", select the item "About phone" and click the option "System Restore." If for one reason or another it did not work out, you can use the second reliable method. Here we also use the “ADB Run” program in the same step-by-step sequence. The only thing to do in step 8 is to place the file with the version of the operating system that was before the update. It can be downloaded from the developer’s website on the model of a specific mobile device. A few words about the official and unofficial versions of the OS. We highly recommend using only official versions of the Android OS from developer sites. If required, create an account for this and register. The unofficial versions, for the most part, carry the risk of viruses infecting the device. Moreover, spyware programs that will transfer all actions on a smartphone or tablet, including financial ones, to third parties may not be authorized.